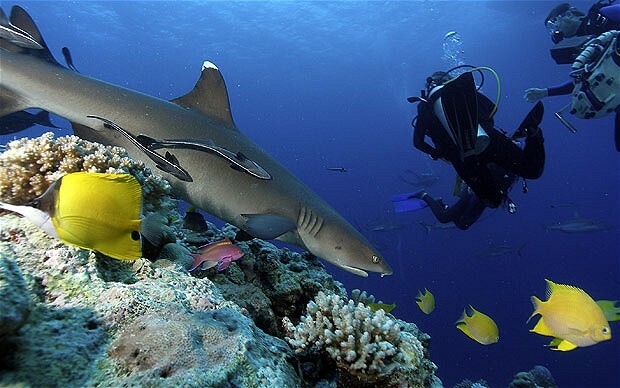 SAN FRANCISCO: Google late Tuesday began letting users of its online mapping service take virtual scuba dives to explore precious living reefs being surveyed by scientists. 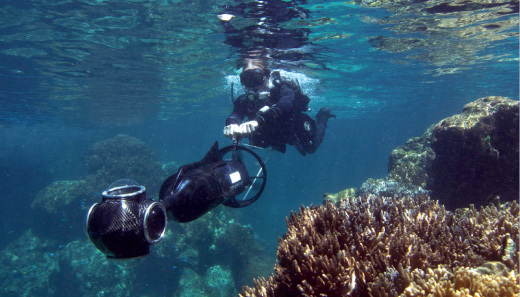 "This is a critical decade for coral reefs," Catlin project director Richard Vevers told AFP while providing a preview of the Google reef mapping project. "We need to be recording them as fast as we can and involving people to halt the decline, which is alarming at the moment." 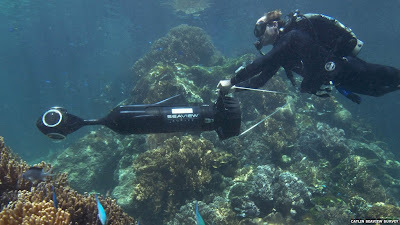 A small team of Catlin divers used a special camera to capture panoramic imagery woven together at Google Maps and in a special Street View online gallery to let people swim along without getting wet. "With these vibrant and stunning photos you don't have to be a scuba diver or even know how to swim to explore and experience six of the ocean's most incredible living coral reefs," said Google Maps and Earth vice president Brian McClendon. "Now, anyone can become the next virtual Jacques Cousteau and dive with sea turtles, fish and manta rays in Australia, the Philippines and Hawaii." The underwater locations include the Great Barrier Reef, the Molokini Crater, and the Apo Island marine reserve. "We've published images in seven continents, down the Amazon and in the Arctic," said Google Oceans Program manager Jenifer Austin Foulkes. A channel at the Google+ social network devoted to the Catlin expedition, which has the potential to discover new species of marine creatures during a "deep reef" phase, has attracted about 1.4 million followers. Undersea imagery could be seen online at maps.google.com/ocean. "This is a project that can engage people," Vevers said.